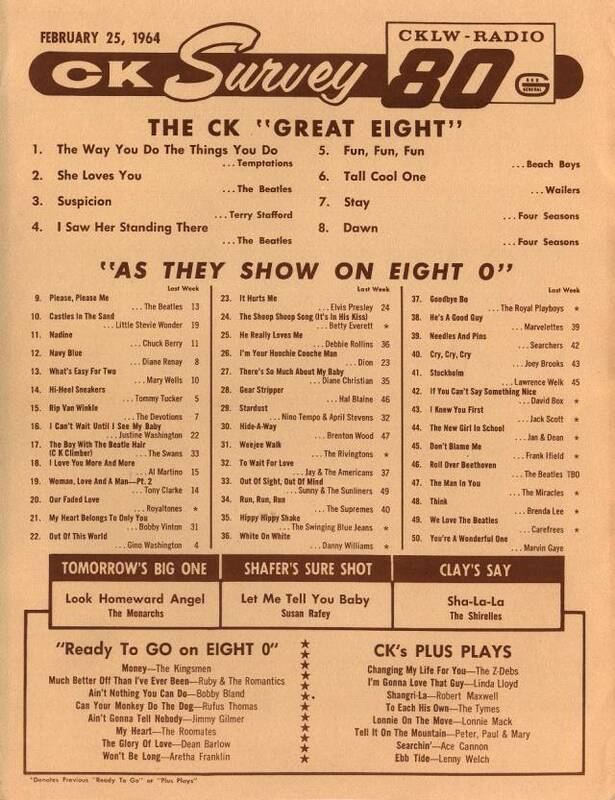 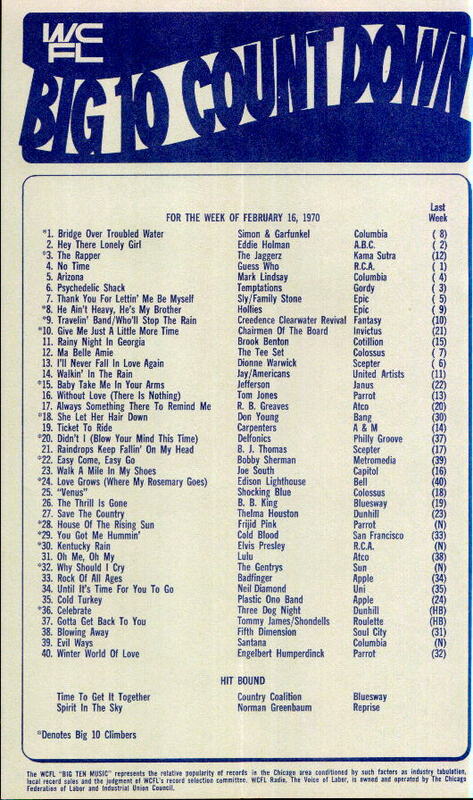 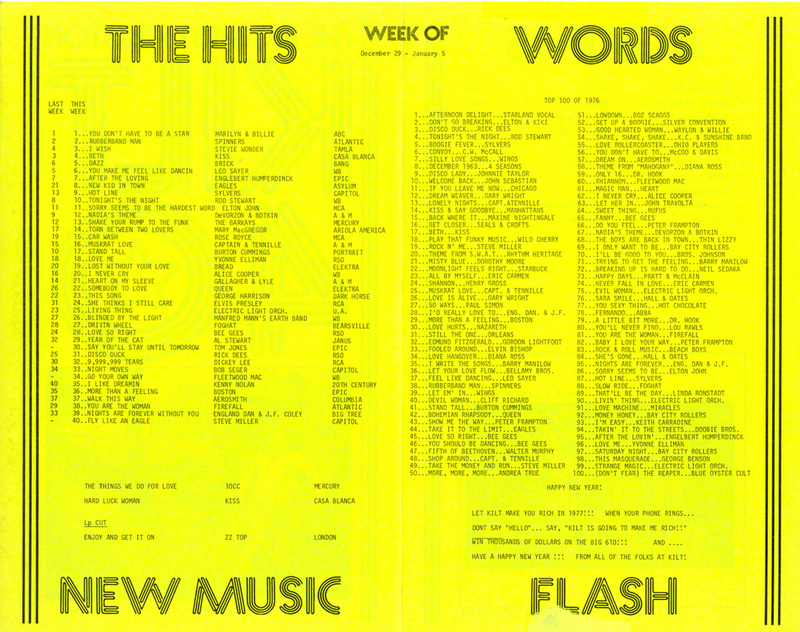 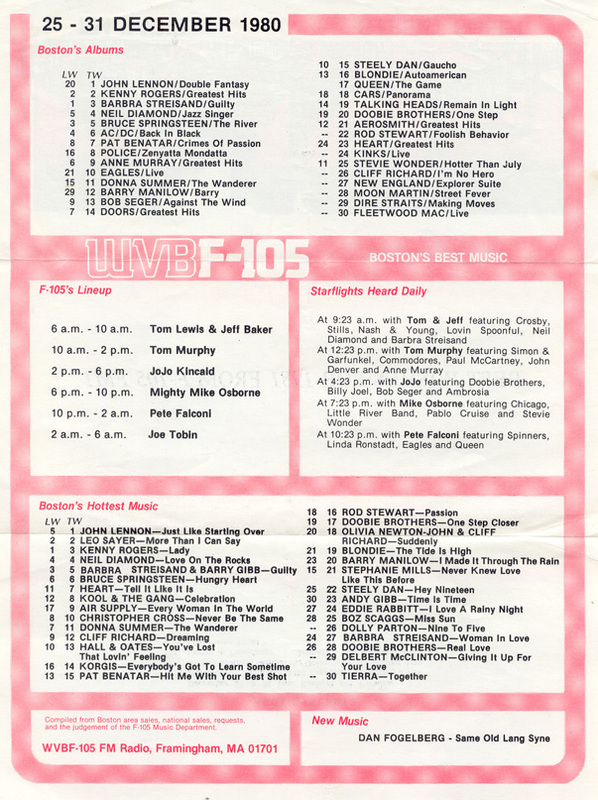 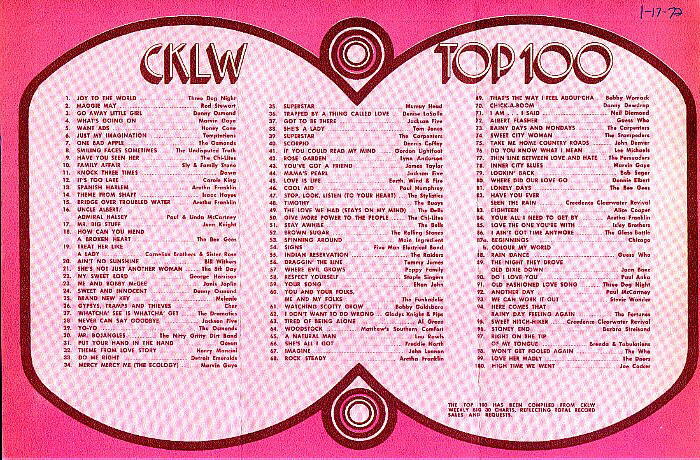 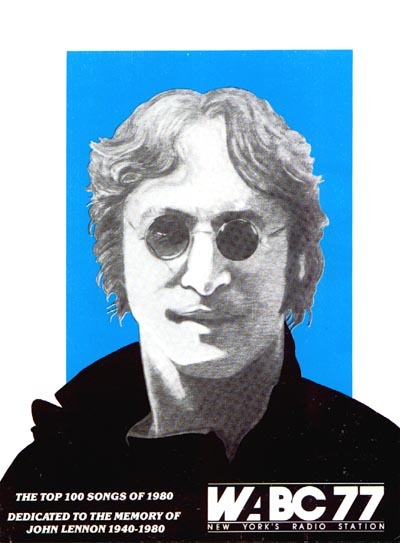 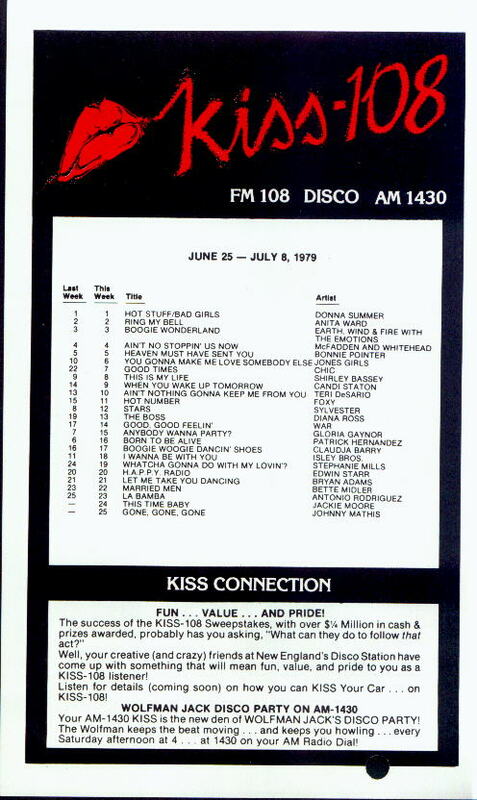 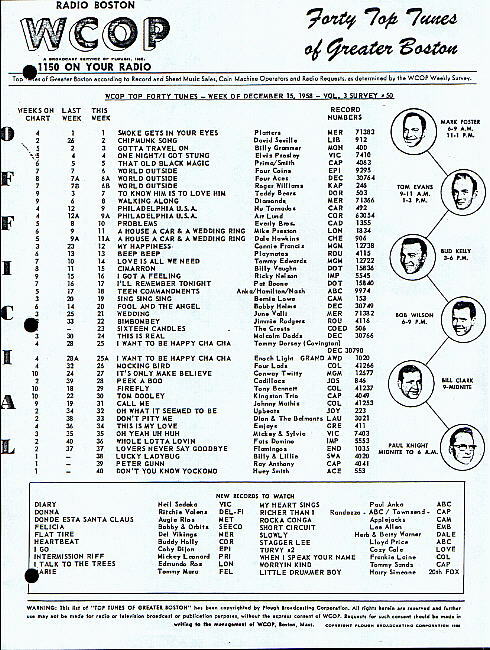 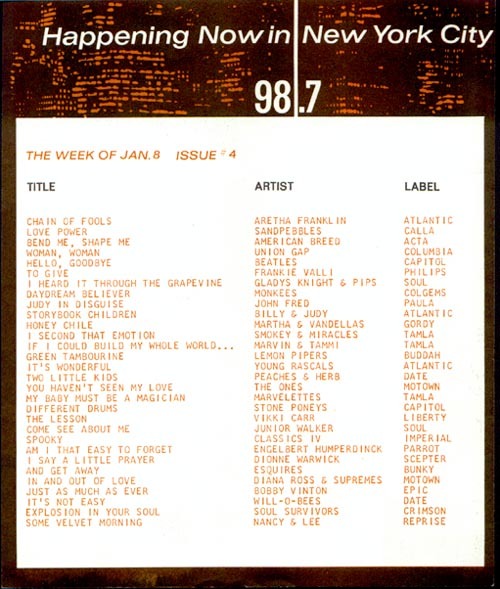 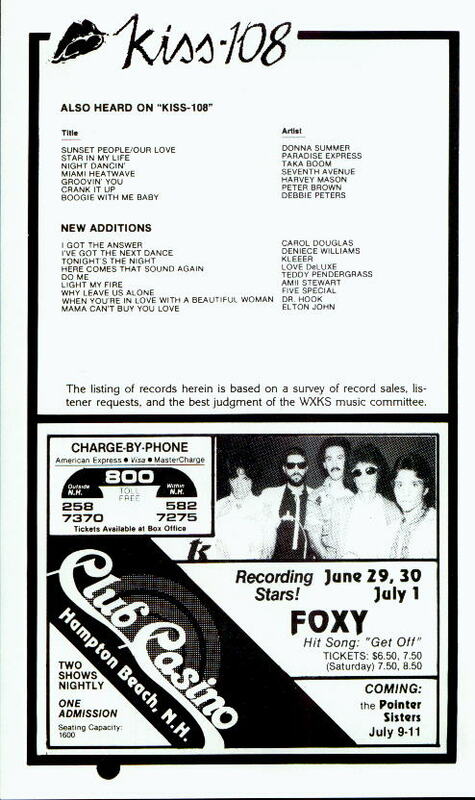 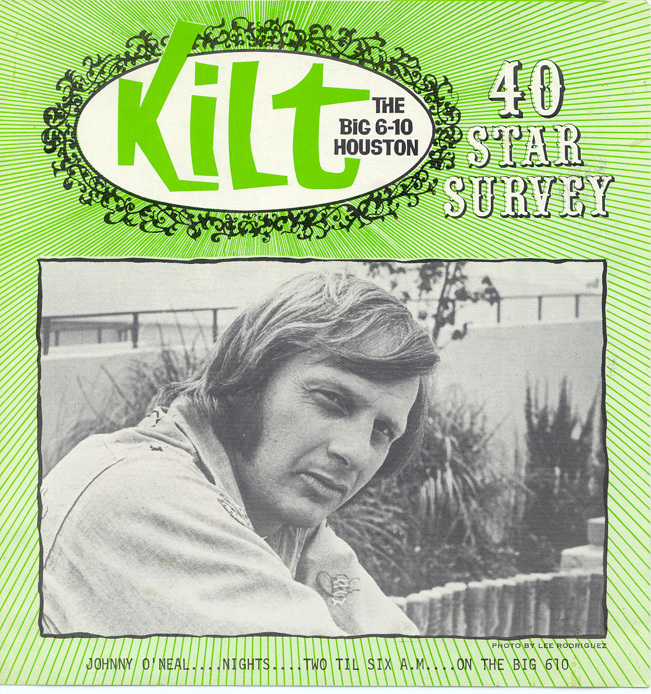 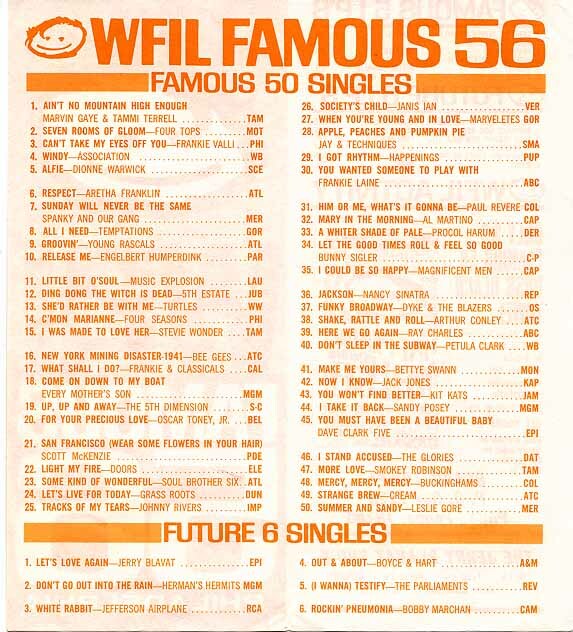 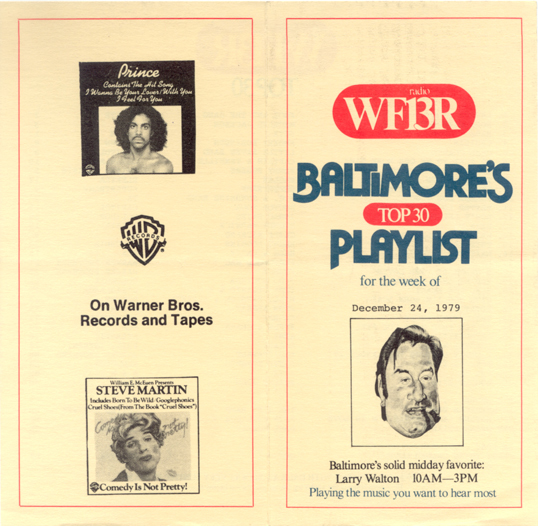 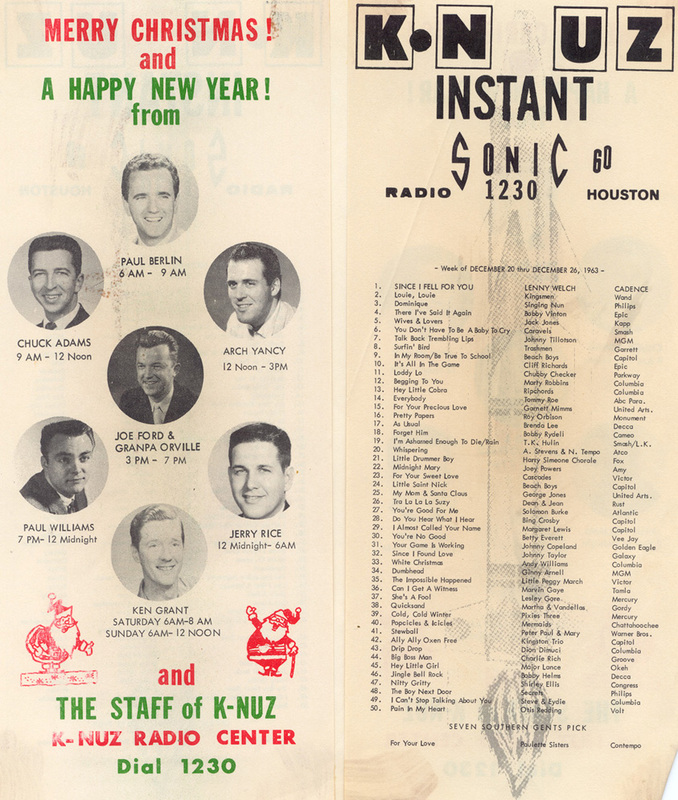 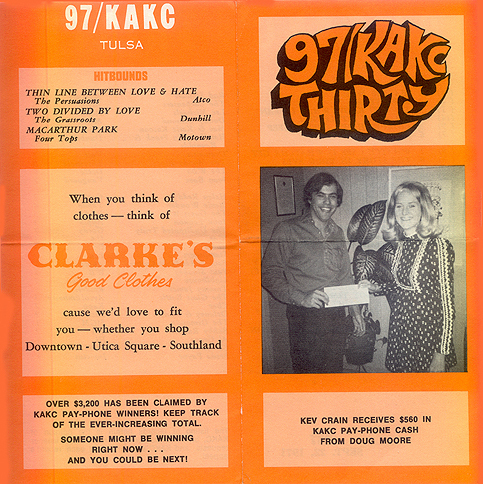 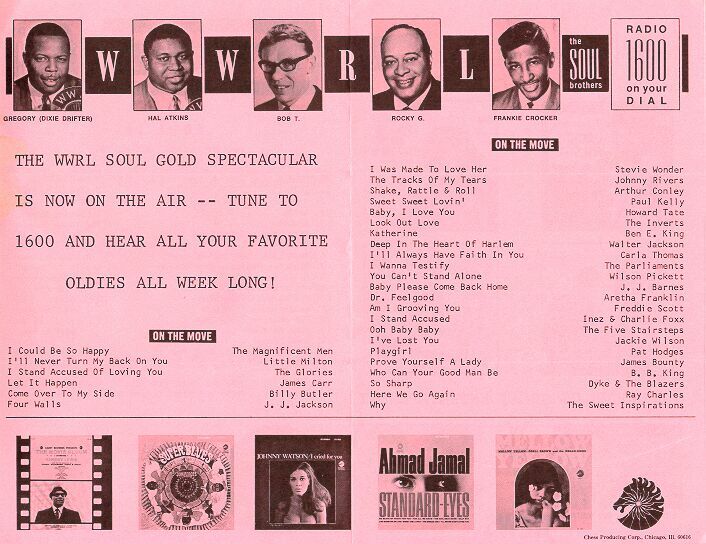 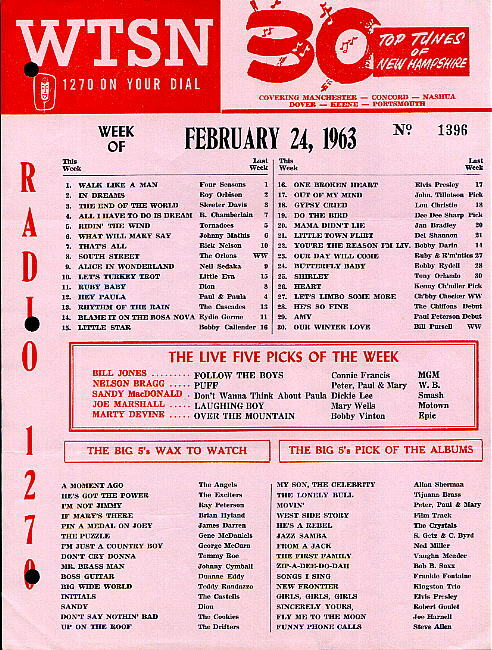 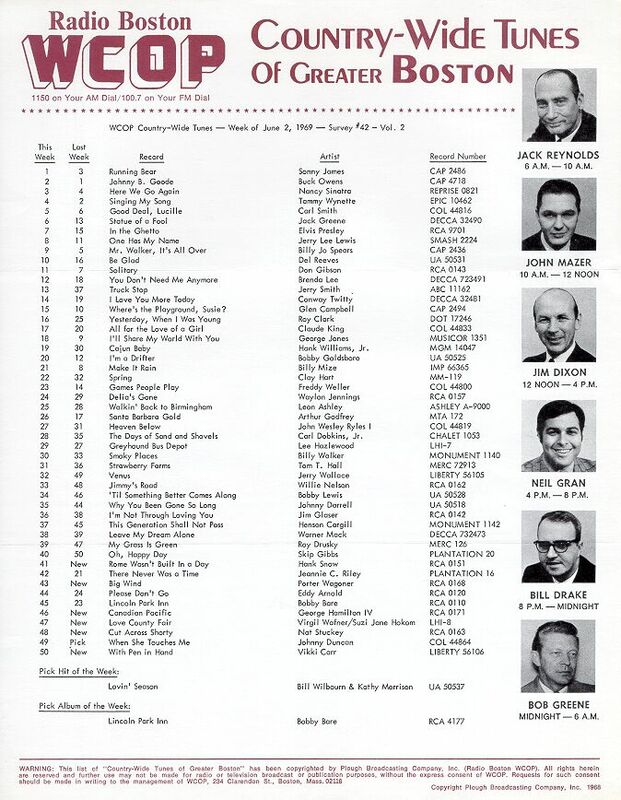 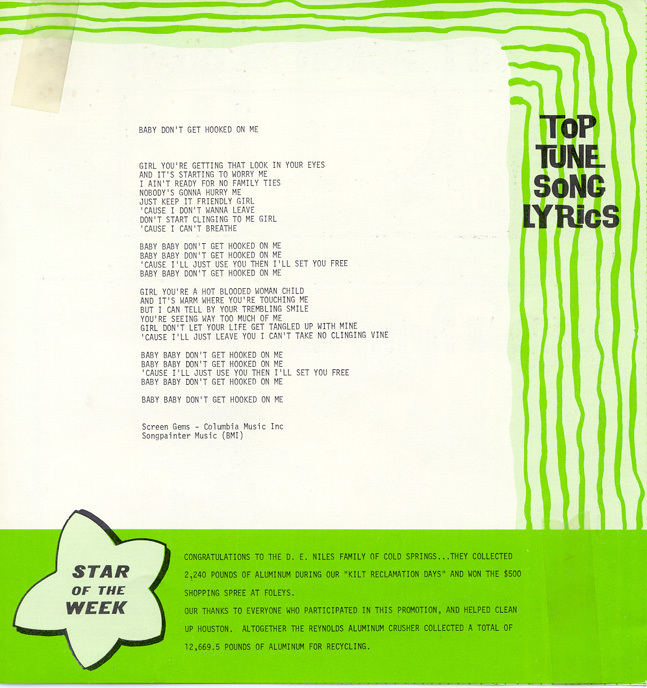 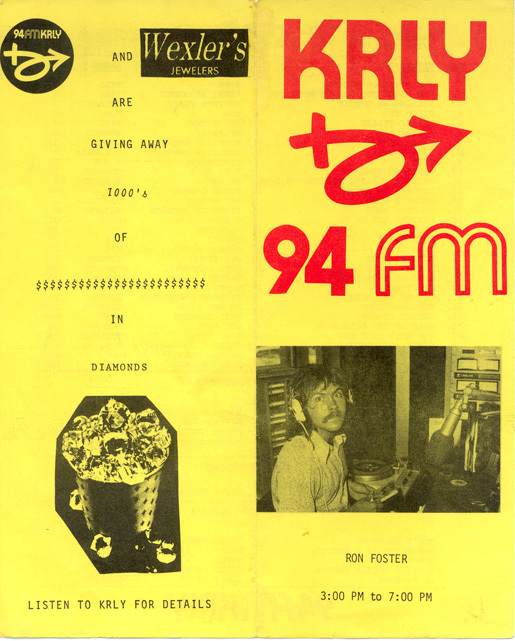 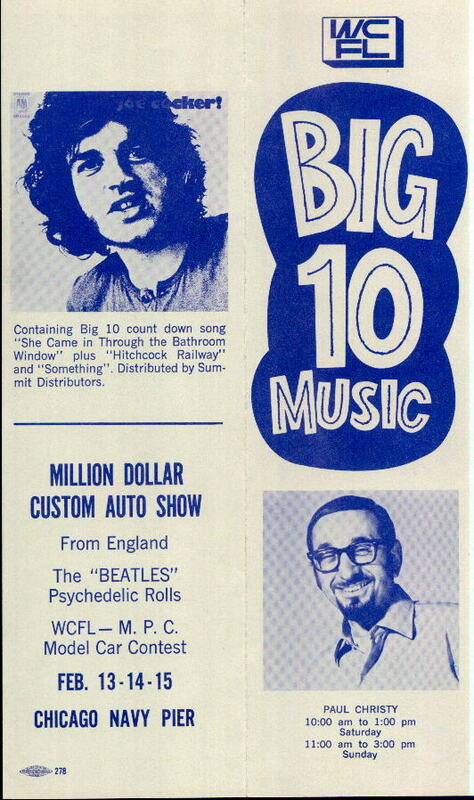 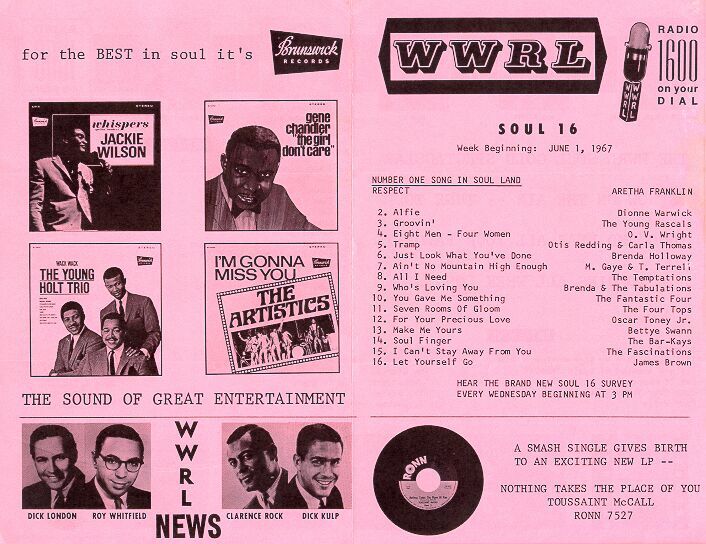 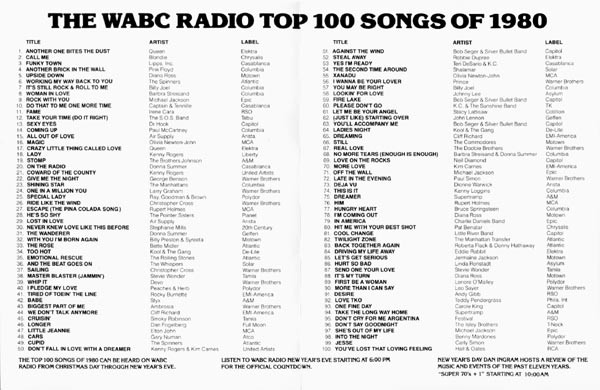 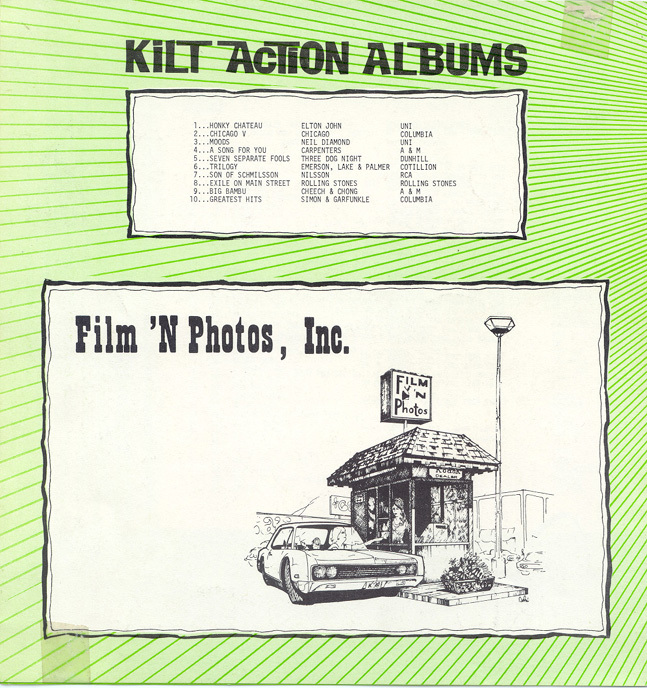 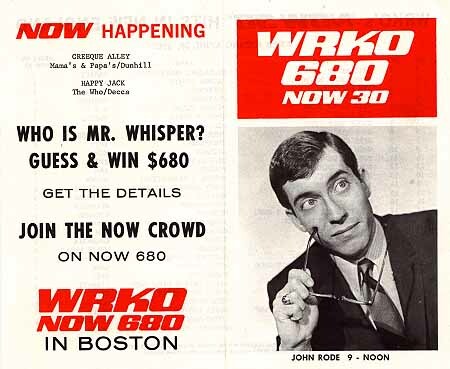 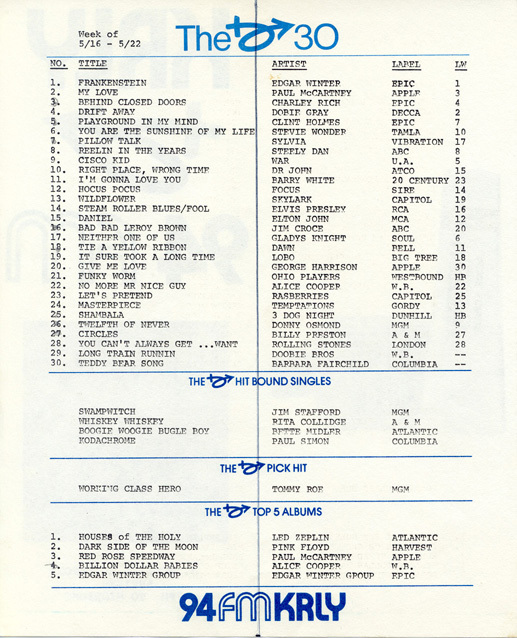 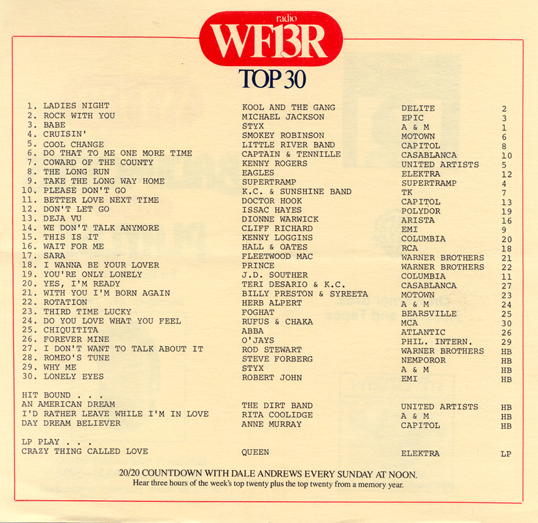 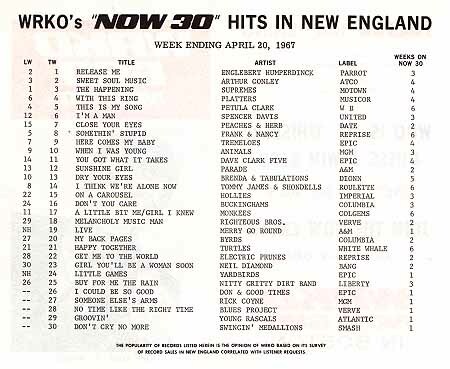 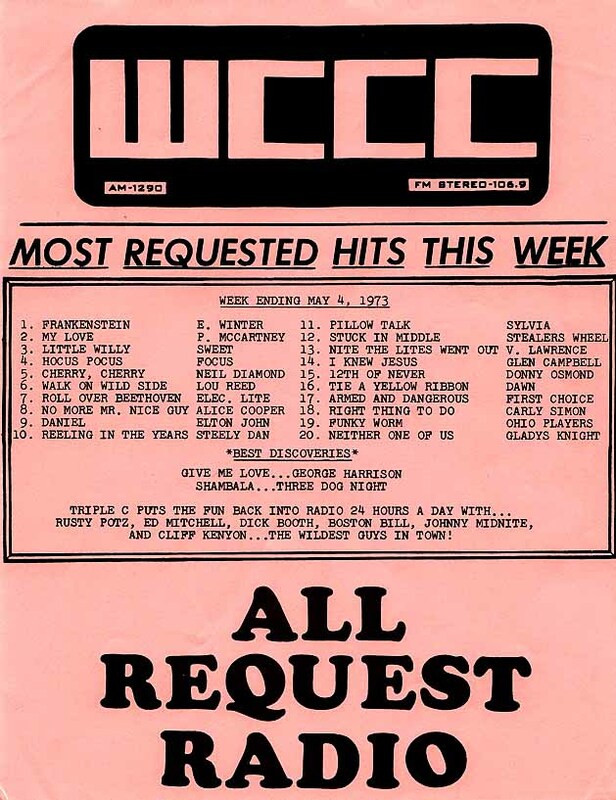 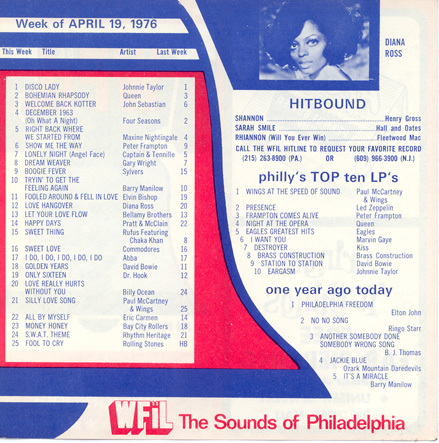 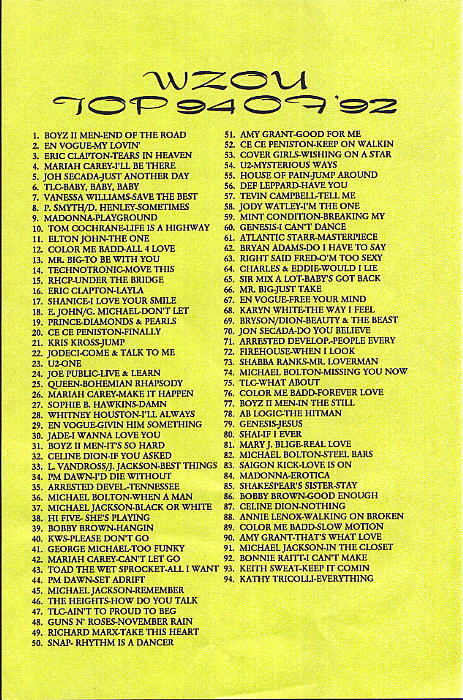 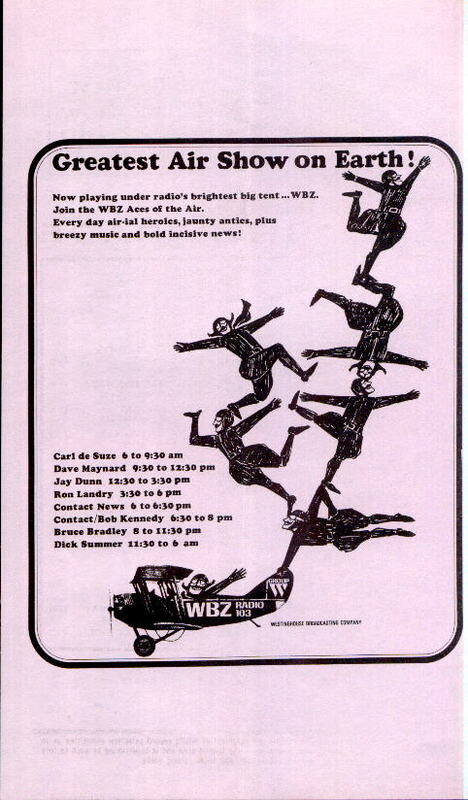 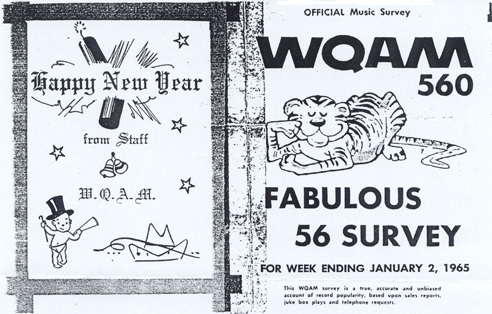 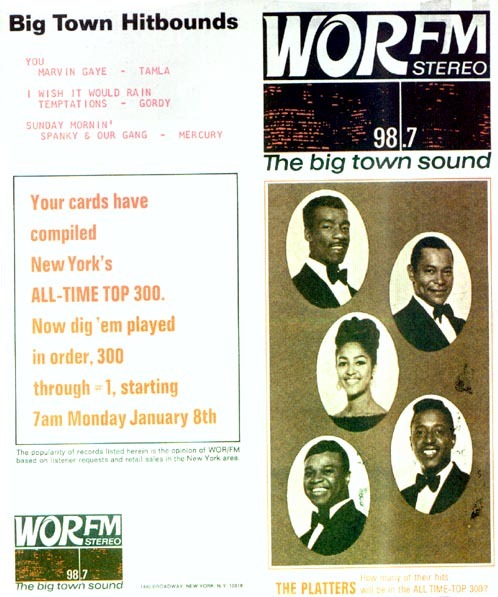 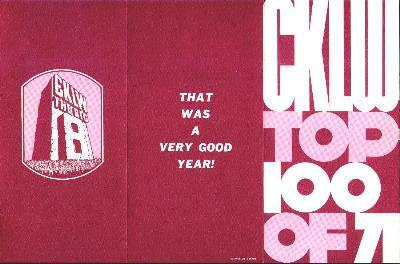 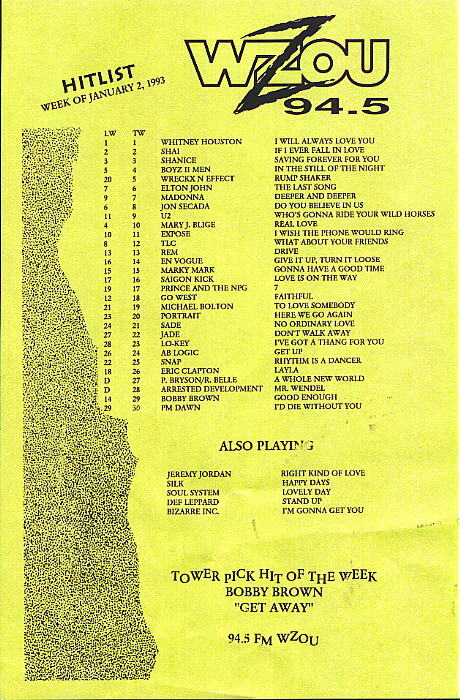 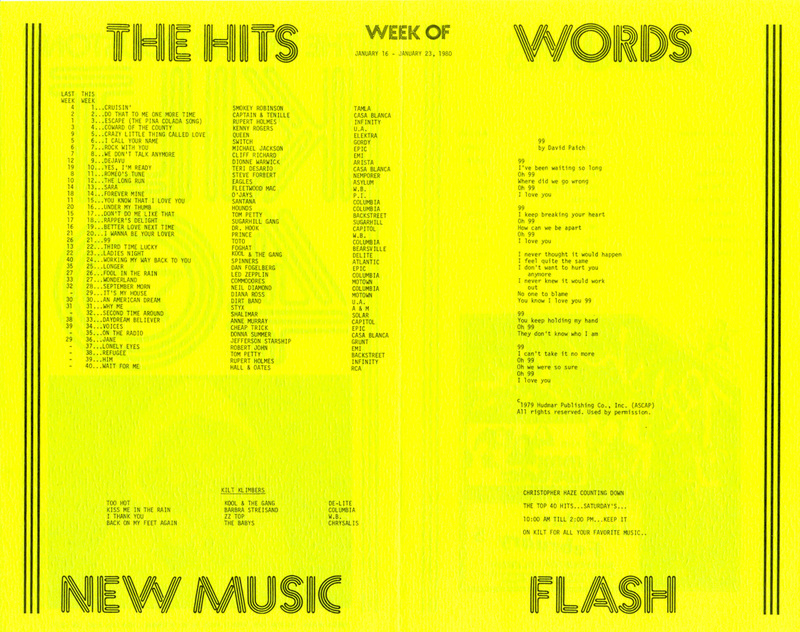 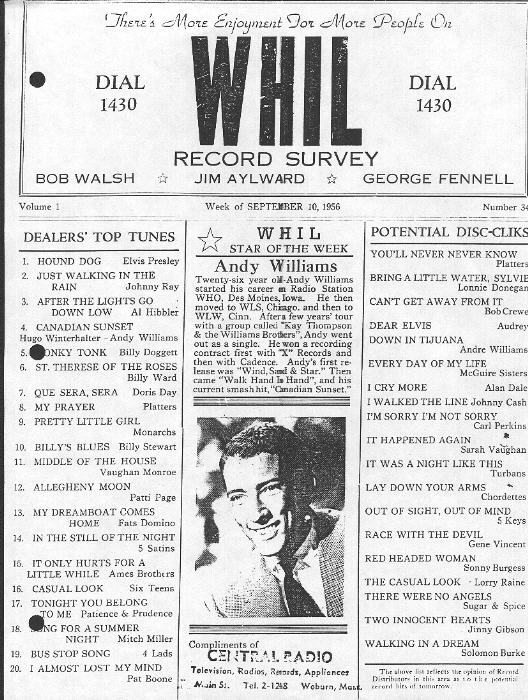 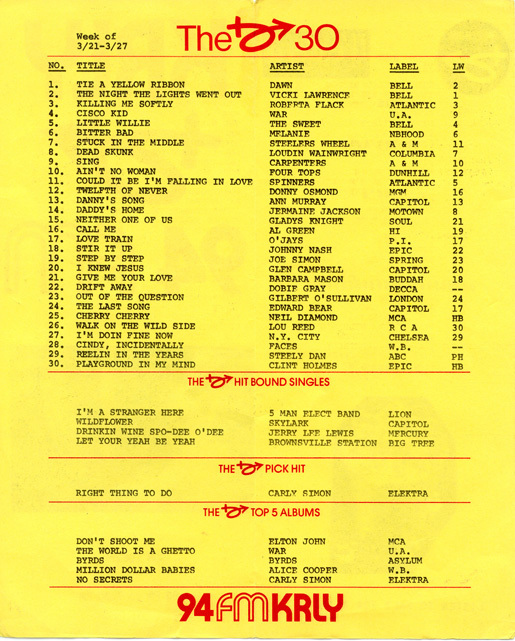 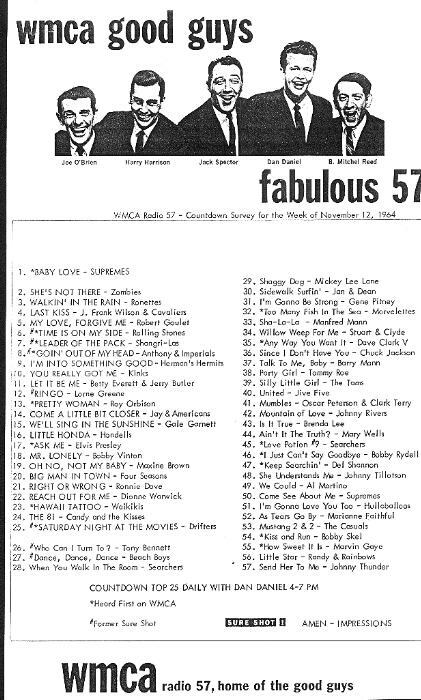 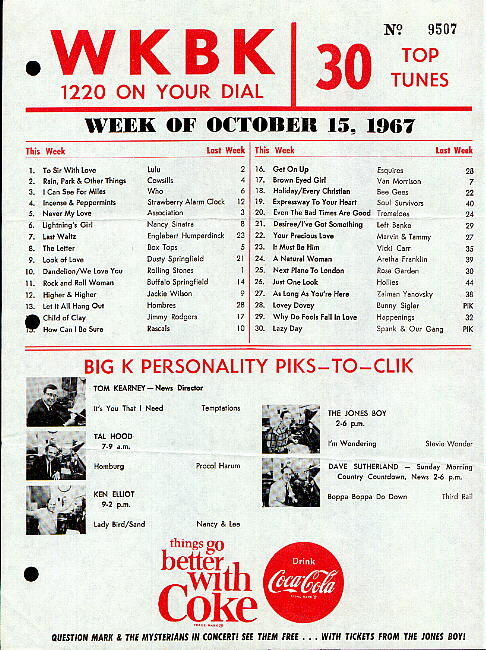 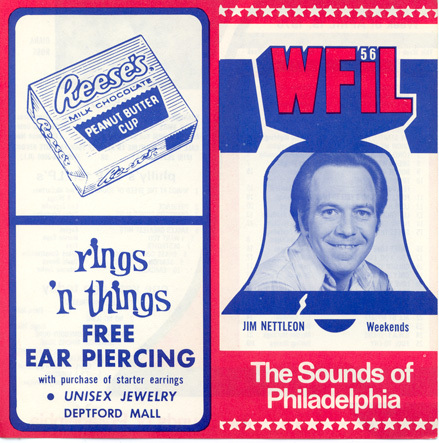 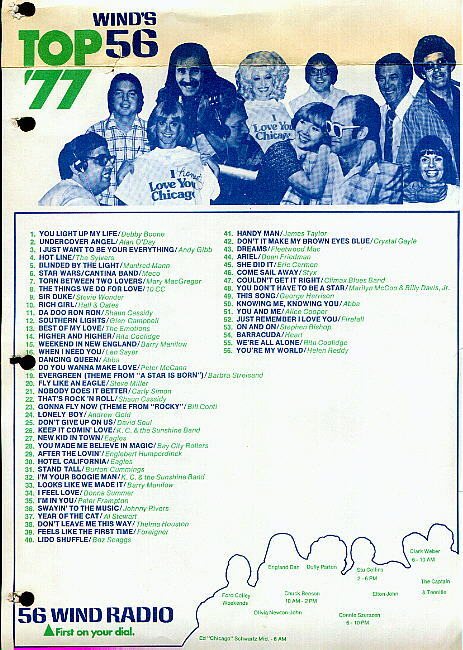 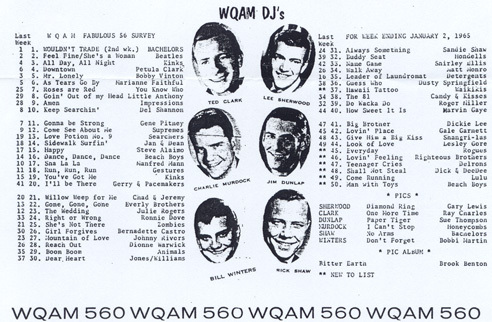 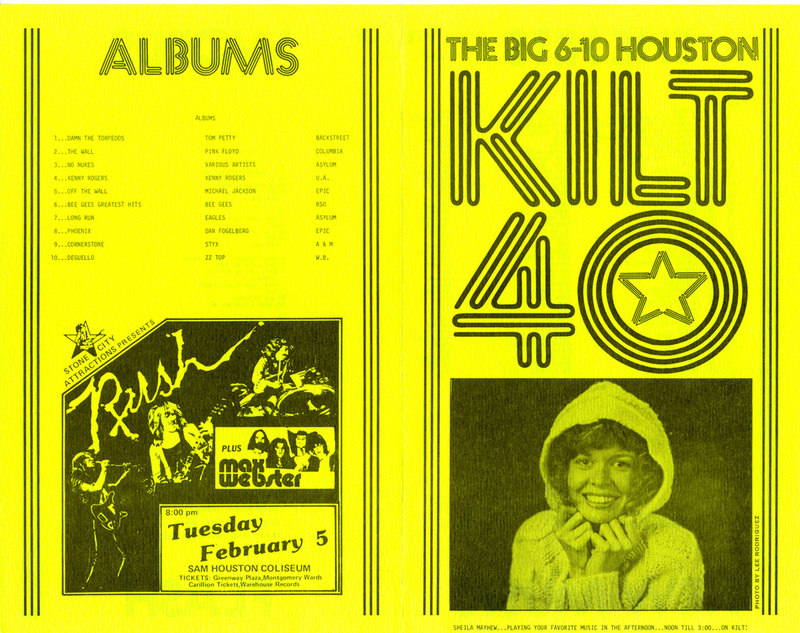 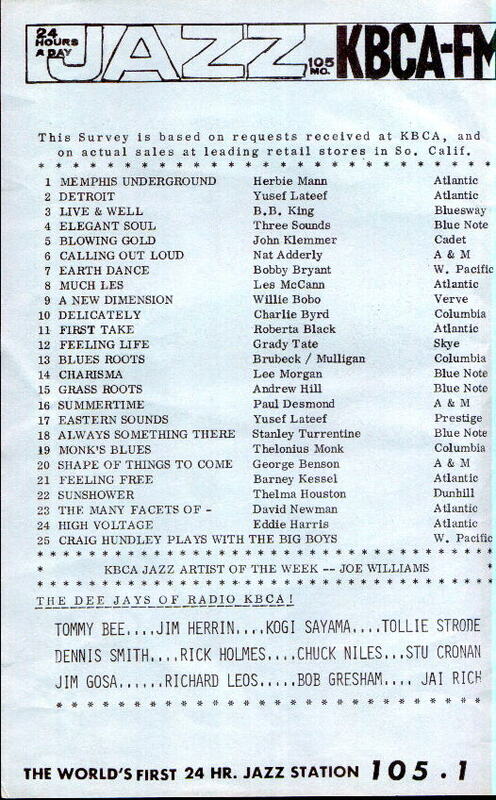 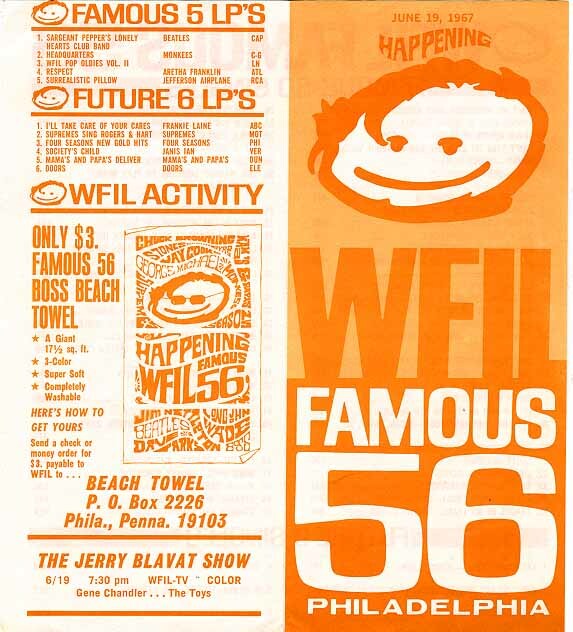 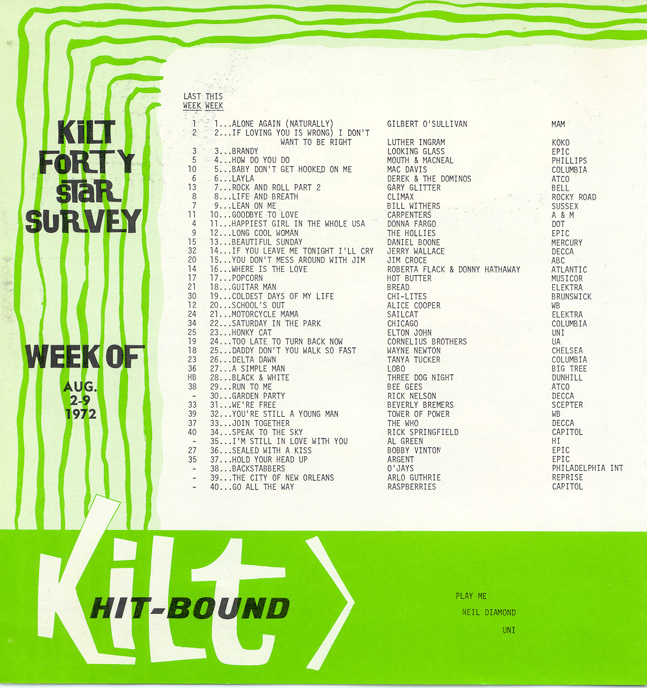 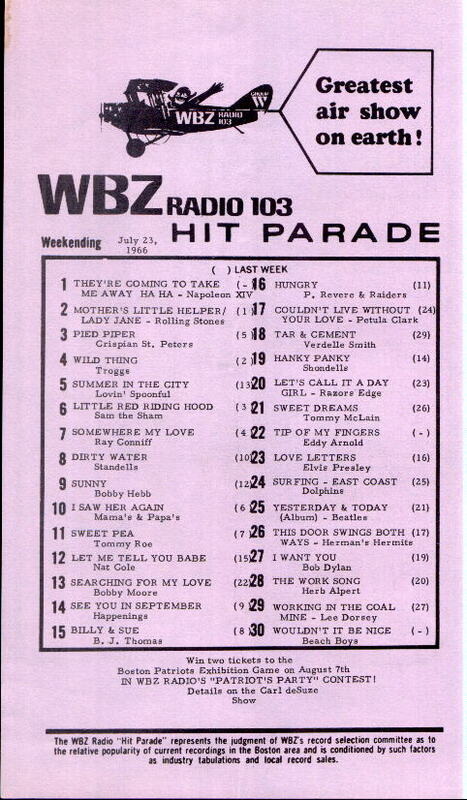 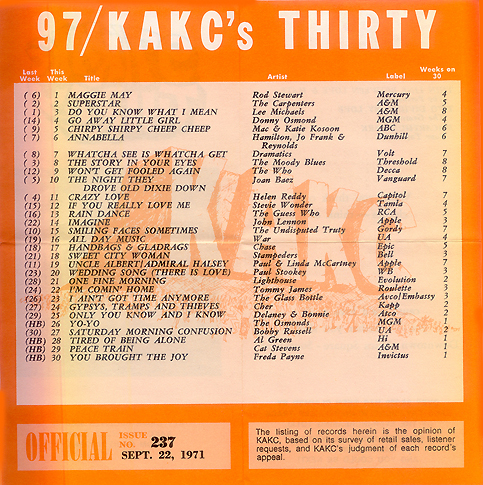 During the heyday of rock and roll, Top 40 radio stations often published weekly surveys of the top selling local tunes. 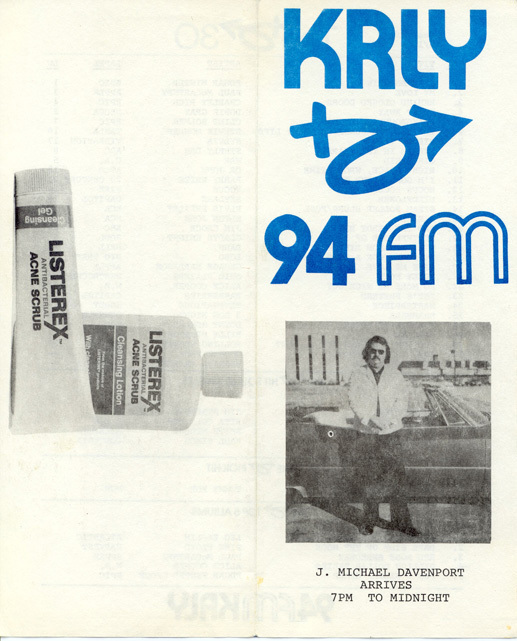 sponsors. 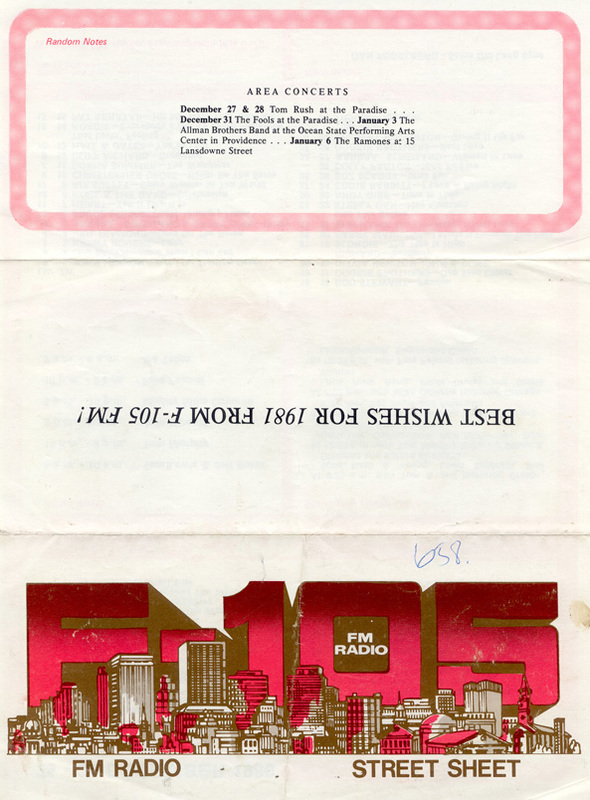 They are invaluable as a tool for determining the precise date of an aircheck, and are highly collectible. 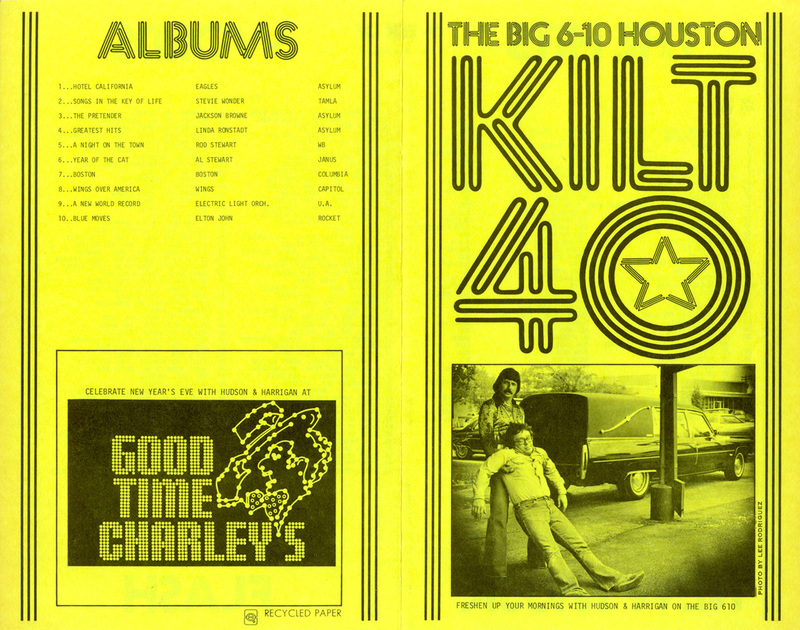 Graphics take time to download.